Hi everyone, i have purchased all my 3d printed parts and hardware from Chris, and have my frame cnc cut. I am building the sturdy_e3d version. 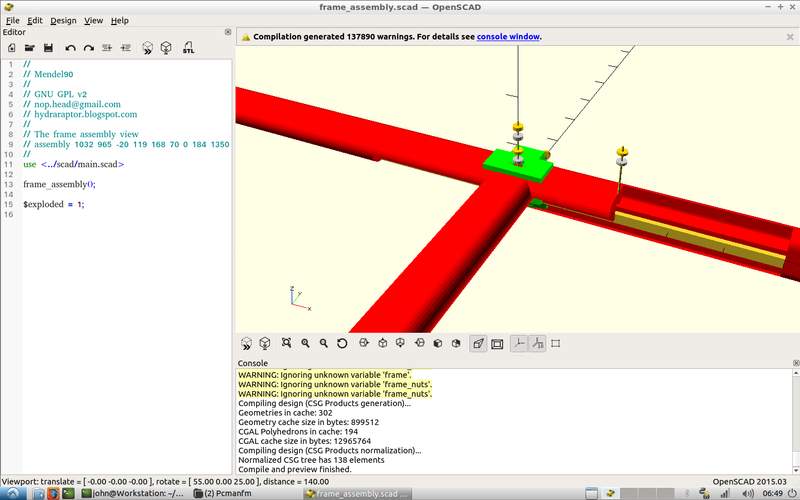 I have finally just got a pc powerful enough to render all the openscad files. I have downloaded the complete source from github and am using the Bom and sheets from the sturdy_e3d folder. In the views folder and the scad folder they are all showing as dibond variant. I have tried running views.py and, even though the process is running the files that come out come up with errors for missing parts and lookin nothing like they should. What is the correct process for getting all the scad files and views made for the sturdy_e3d version? 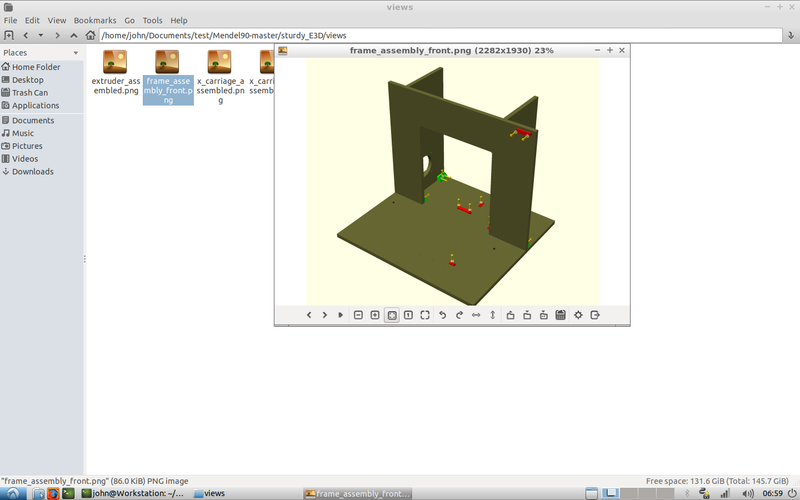 Running views sturdy_E3D should get the configuration from scad/conf/sturdy_E3D_config.scad and build correct views into sturdy_E3D/views. Edited 1 time(s). Last edit at 08/28/2018 11:27AM by nophead. 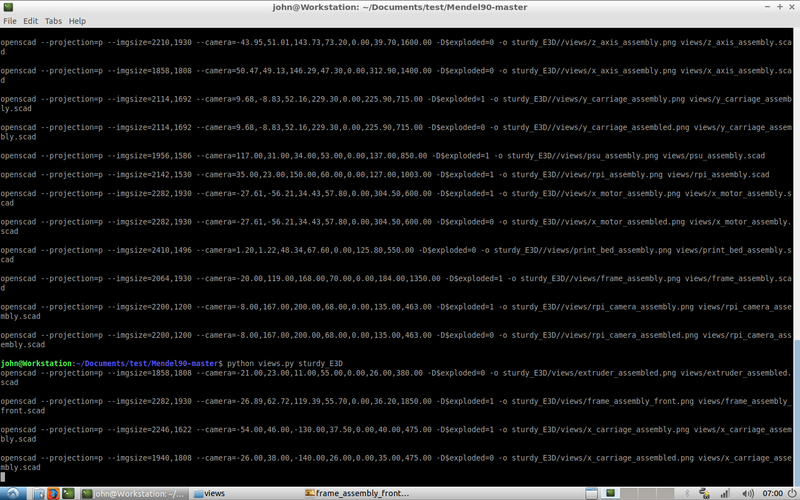 I think something must be wrong with the views.py file then maybe? Its calling out the wrong config file after generating all the views and scad files. 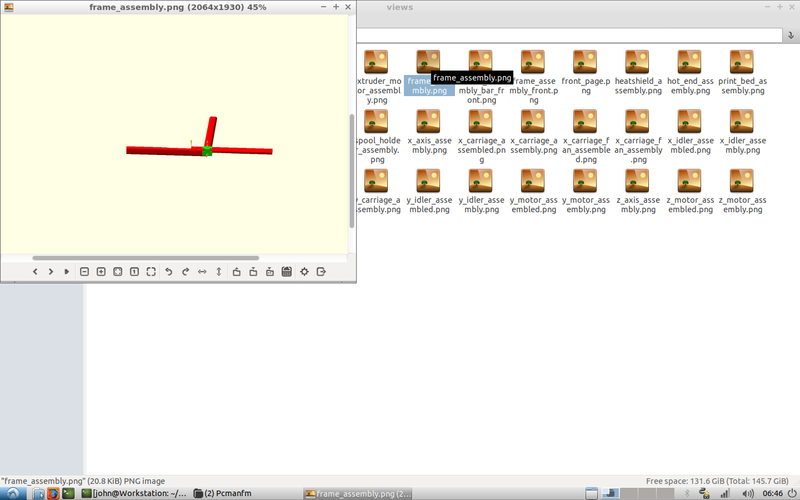 Here are some screenshots and the views.py file freshly downloaded from GitHub. either that or I'm still doing it wrong. EDIT: After going through my screenshots I just noticed I had an extra / after the machine name possibly causing errors. I will leave it running but it seems to be doing better now. Edited 1 time(s). Last edit at 08/28/2018 05:02PM by guerd87. Yes the extra / will definitely break it. It won't include the configuration so nearly everything is undefined. All working fine now. I have my Views all good for sturdy_e3d and also all my scad files are echoing sturdy e3d at the start! Iis there any way in the scad files to click on a certain bolt to find out what size it is? I have set them for exploded view and can get a decent idea, just thought it might be easier to click and get an actual size. Or is it just a matter of working through the BOMs and figuring it out? 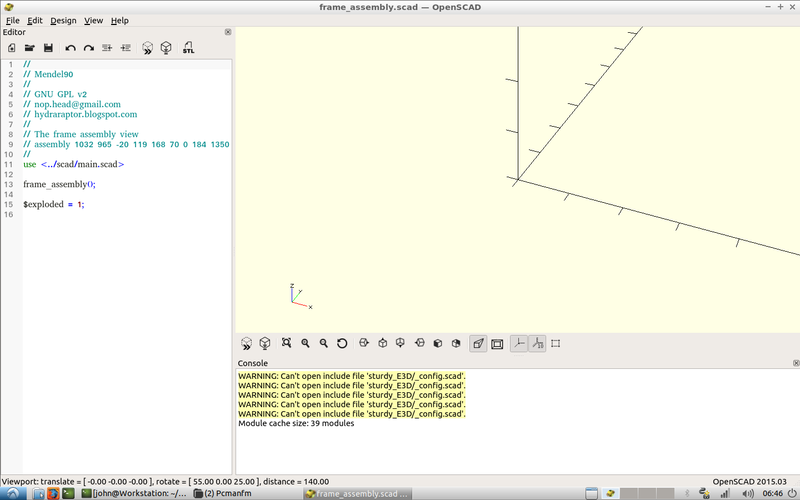 No there isn't anyway to query what is on screen in OpenSCAD. You will need to figure it out from the BOM files.